If you have lost a loved one to a sudden and unexpected event, you are no doubt dealing with an abyss of emotions. In addition to the cruel absence of that person in your daily life, you may also have to face a dramatic loss of income to support your family. 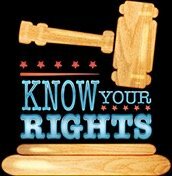 No one likes to think of lawsuits at a time like this, but the truth is, legal action may be your best recourse right now. When two young boys were lost at sea, the family of one of the boys filed suit against the family who owned the boat. According to the claim, the boat was not equipped with tracking devices, navigation instruments, or a VHF radio, all things that should be considered essential for a craft heading into the ocean. Furthermore, according to the suit, the parents knew the 14-year-olds were going into the ocean, and were irresponsible in allowing them to do so with no destination plan for their ill-equipped boat. When an elderly resident in a nursing home died in the aftermath of Hurricane Irma, the man’s family filed suit, claiming the nursing home failed to provide proper care and get emergency support quickly enough for residents who suffered in oppressive heat. Power to air-conditioning units was absent for days, leading to overheating and several deaths. The highly publicized automobile accident involving Venus Williams resulted in a suit against the tennis star. Although no citations were issued, the suit alleges Williams caused the accident that resulted in the death of another driver. 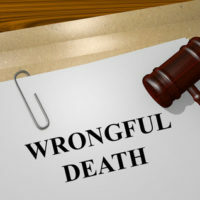 A representative of the victim’s estate generally may a claim of wrongful death on behalf of the family of the deceased. Family typically includes the decedent’s children, spouse, parents and, under certain circumstances, other blood relatives and adoptive siblings. In this time of upheaval and distress, the compassionate and experienced team at Barbas, Nunez, Sanders, Butler & Hovsepian will support you in your quest for justice. Our adept investigators and confident legal team will be by your side every step of the way. Contact us today in our Tampa office for a free, confidential consultation.